Shelby County Schools Elementary and Middle School students are learning the FUNdamentals of tennis in their PE classes this Fall. 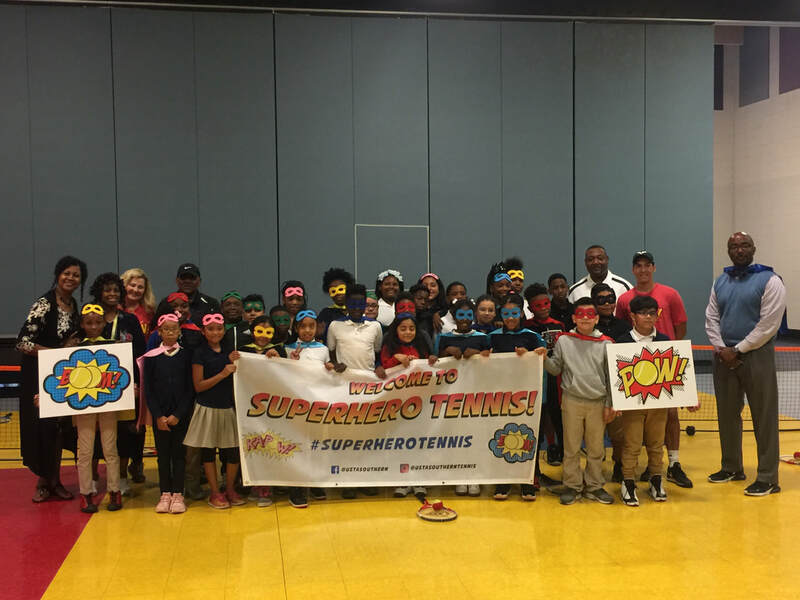 Many students have also accepted the challenge to participate in a USTA Southern Superhero Red Ball Team Challenge! A Team Challenge is a USTA program designed as an introduction to competition for Net Generation players that focuses on team play and character development. This introduction to a competitive play experience highlights teamwork and skill development in a fun, social environment. The Team Challenge is delivered by Net Generation providers and is a FUNtastic way to develop a lifelong love of the game from the very first play opportunity! Interested in hosting a Challenge? Send us a message! USTA Tennessee, Memphis Tennis Association and Tennis Memphis are happy to be community and program partners with HPELW of Shelby County Schools. Tennis in PE and after school programs during the school year. 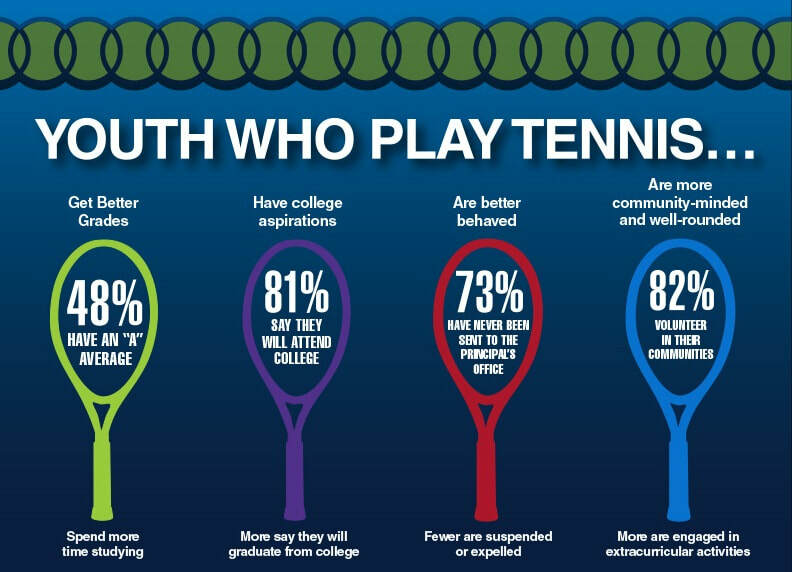 ​ To learn more about tennis in schools programs in Memphis, email memphisjrtennis@gmail.com. Net Generation is the youth brand of the USTA and embraces all aspects of youth play for kids aged 5 – 18. The objective of Net Generation is to have millions of kids connected to the sport. Net Generation will also be a platform to celebrate individuality and champion’s self-expression. We believe we can inspire a new generation of tennis players, providers (coaches, organizers, etc.) and parents. The brand attributes revolve around: Empowerment, Unity and Play. It puts more emphasis on learning through play and building character on and off the court, not just drills and competition. Plus, Net Generation is dedicated to all kids safety, with a guarantee of all of our registered coaches and providers having a background check conducted by the National Center For Safety Initiatives (NCSI), the only background screening company endorsed by the National Council of Youth Sports. Tennis Providers may register for a free account to gain access to tools such as the Program Management Center, educational support, and Net Generation Coaching App. We are excited to be able to offer many elementary and middle schools within the Shelby County School district the opportunity to add tennis to their PE curriculum as part of our loaner equipment program and teacher training. In addition, students will enjoy field trips to their neighborhood tennis facilities for USTA Play Days for on-court fun and games! ​For more about USTA school's programming, visit the website. Tennis is great fun and will get students active! PE teachers, you can achieve your school's health & wellness goals through tennis! Click here to find out more! Memphis Tennis Association presently has partnerships for in-school PE programming with both Shelby County Schools and Germantown Municipal School District. contact Brian Fisher, GMSD School Health Coordinator at brian.fisher@gmsdk12.org See GMSD School Health Website for current GMSD tennis opportunities! Physical Education Programs help you achieve your school's health and wellness goals through tennis! No courts are required and schools can effectively offer PE with tennis sized right for age and ability. Want to learn more about what your school has to offer, or if you're a teacher, how to bring tennis to YOUR school?